Green Day Return To Their Roots On Fun-Filled ¡Uno! Is the trio's latest album a step forward or backward in their still evolving career? Few bands have progressed at such an impressively creative rate as Green Day. When their first major label album, Dookie, dropped in 1994, they became a “love them or hate them” band. Some fans enjoyed their brand of post punk; others wrote them off as bratty wannabes. But with each subsequent album, the trio—Billie Joe Armstrong, Mike Dirnt, and Tre Cool—showed their gift for writing pop hooks fused with a healthy dose of middle-finger attitude, each single displaying growing sophistication. Then came their most ambitious move: recording a rock opera. American Idiot has become a modern rock classic featuring anthems such as the title track and “Wake Me Up When September Ends.” Their streak continued with 2009's 21st Century Breakdown, another tale of disaffected youth. After the Broadway musical version of American Idiot began its successful run, it seemed like Green Day had outgrown their initial immature image, and would most likely start experimenting with symphonic music. No one took into account that Green Day still likes to confound their critics. 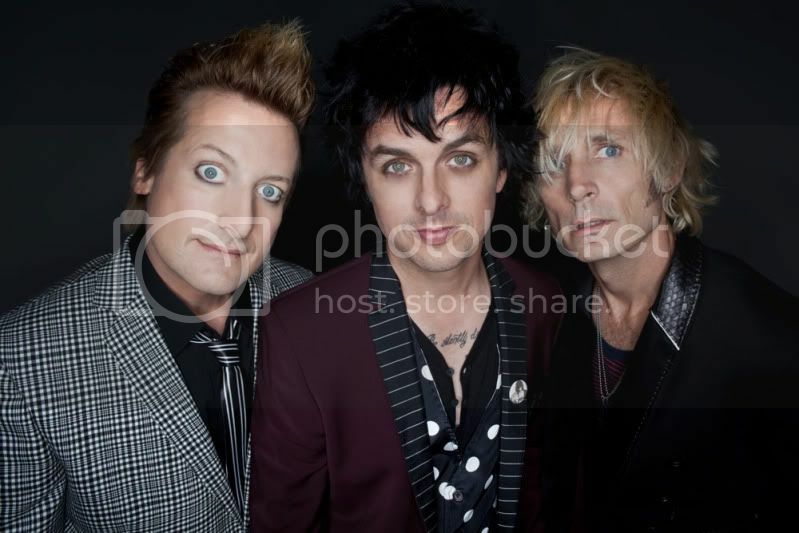 Earlier this year, Armstrong announced that Green Day would release a trio of albums, appropriately titled ¡Uno! ¡Dos! and ¡Tré! Judging by the just-released first disc, Green Day elected to travel backwards instead of forwards, revisiting their power-punk roots. As the cliché asks, can you go home again? As ¡Uno! demonstrates, yes and no. Fans expecting complicated themes and innovative music may want to pass on this release, although the sweeping “Oh Love” sounds as if it could have been an American Idiot outtake. Listeners who long for their earlier, brattier work like “Longview,” however, will enjoy ¡Uno! for its old school snotty attitude. “Kill the DJ” flips off tired tracks celebrating partying in the club; instead of heralding the DJ, Armstrong sings of slaying this modern icon of cool. Here a drugged-up club outcast decries “the century of thrills/ The blood left on the dance floor” and calls for the DJ to be taken down. The pseudo-disco beat seemingly mocks the genre, similar to how the Talking Heads and Blondie recorded their own twisted takes on dance music. Other tracks exemplify how tightly the trio works together, as well as Tre Cool's underrated drumming style. “Carpe Diem,” slightly reminiscent of “21 Guns” in its power pop influences, lets Tre Cool show off his ability to drive a song through his forceful drumming technique. “Let Yourself Go” harkens back to the Dookie days with its aggression as well as its pounding guitars and drums. Armstrong reduces his voice to a shriek while chanting the title phrase. While tunes like “Fell for You” suggest a tender love song, Green Day infuses them with their warped sense of humor. “I woke up in pool of sweat/ First thought that I pissed the bed,” Armstrong snarls. “Loss of Control” echoes “Basket Case” in subject matter and tempo, sending the listener right back to 1994. In true Ramones fashion, most of ¡Uno! consists of tracks under four minutes, with the exception of “Rusty James” and the aforementioned “Oh Love.” The album stands as a piece of solid punk rock fused with power pop, and serves as a fun listening experience, perfect for cranking at top volume in the car or at a party. Unlike American Idiot or 21st Century Breakdown, however, it fails to build on their previous artistic work. Perhaps Green Day felt they needed to rediscover their roots in order to embark on their next phase; as they have already proven, they can constantly surprise with their unexpected twists and turns. The question remains: is this upcoming trilogy a brief detour, or an indicator of yet another new direction in their fascinating career? While it may not address major issues, ¡Uno! is a fun diversion by a group who has developed in a fascinating way since their late 1980s beginnings.